You might not be familiar with Anita Sengupta, but you’re definitely familiar with her work: she helped design the 70-foot parachute for NASA’s Mars Rover, Curiosity. 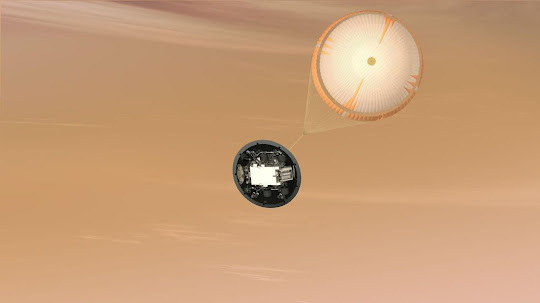 Without the chute, the rover never would have landed gently on the planet’s surface. Naturally, she’s got an appetite for tough problems. After getting a bachelor’s in aerospace engineering from Boston University, she went on to receive a master’s and PhD from the University of Southern California, where she is now also a research associate professor. Her PhD thesis was on the ion thrusters that powered NASA’s Dawn mission, a probe launched in 2007, which orbited the asteroid Vesta before moving on to map Ceres, the largest object in the asteroid belt between Mars and Jupiter. Her main gig is as a project manager for the Jet Propulsion Laboratory’s Cold Atom Laboratory, where she helps coordinate other brilliant people to figure out how better to get access to space. But what was most surprising, in talking to her, was how important luck was in her career — Sengupta took risks, often taking on projects that were outside of her areas of expertise. It was by stretching herself in that way that she learned the most, she says. And if you want to work on space? There’s probably a job for you. At least, that’s what the woman who helped land a monster-truck-sized science lab on Mars says.